← AIR Music Plug-ins On Promo for a Limited Time ! ONE DAY ONLY SALE, today! Get an amazing 50% OFF any Waves Bundle or Plug-in at the store. Use the voucher code TODAY50 when you checkout with your purchase. Take a look at the examples below to see what you can pick up for a truly unbelievable price until February 8th, 2019, 5 am EST. 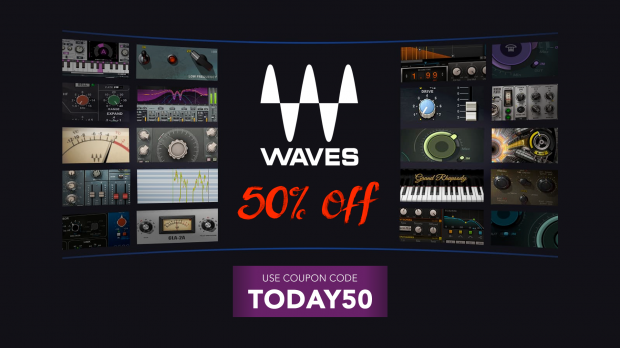 The full Waves product listing with all the ‘TODAY50′ DEALS everywhere! This entry was posted in DontCrack, Event, Plug-ins, Promotions and tagged Promo, TODAY50, Waves. Bookmark the permalink.